Many of us experience some level of back pain at times in our lives. For some of us, it may be a long-term condition that we’ve been dealing with for a number of years. For others, it may be an injury that has just flared up recently. Cases such as this, where the injury is recent, are known as acute injuries, which are usually injuries which has been active for less than three months. In minor cases, home treatment can be enough to improve the condition. However, for some people, specialized medical attention such as chiropractic care may be necessary. 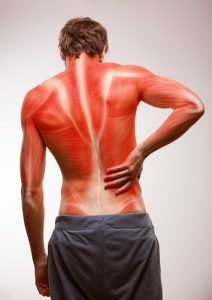 A study from the journal Spine finds that many cases of acute back pain develop into chronic pain. In this study, the researchers studied 605 acute lower back pain patients. After six months without proper treatment, 13% of patients still experienced lower back pain. This study serves as a good indicator that patients who are experiencing lower back pain should address the issue as quickly as possible. And who better to treat pain emanating from the back than a doctor who studies than spine for a living? Yes, we’re talking about chiropractors! Chiropractic is a healthcare profession dedicated to the non-surgical treatment of disorders of the nervous system and/or musculoskeletal system. A key aspect of chiropractic care is the focus on spinal manipulation and the treatment of structures that surround the spinal cord. Numerous studies have proven the effectiveness of chiropractic care in treating lower back pain, as well as herniated discs, neck pain, sciatica, and much more. Furthermore, according to a 2011 study published in Spine, the long-term pain relief is much more positive when patients receive regular spinal manipulations. In this study, patients were assigned into three treatment groups, each receiving spinal manipulations for varying periods of time. At the conclusion of their assigned time period of treatment, the patients who received chiropractic care for a longer period of time reported lower pain levels than those who received treatment for the short time periods. The best thing someone can do when they begin to experience lower back pain is to seek treatment early, before the condition worsens. Additionally, seeking treatment from someone specialized in treating the spine, such as a Doctor of Chiropractic, can allow a patient’s’ pain to be eliminated or drastically reduced when compared to self-treatment (such as ice or heat) or potentially dangerous pain medications. If you or someone you know has recently started experiencing lower back pain, give Advanced Chiropractic & Rehab a call today at (330) 726-7404 to schedule a free consultation to see how we can help. We have been servicing the Youngstown and Mahoning Valley area since 2001 with convenient locations in Boardman, Hubbard, and Kinsman. At Advanced Chiropractic and Rehab, we are a multi-disciplinary rehabilitation group that treats work comp injuries, whiplash, sports injuries and specializes in much more than just lower back pain.